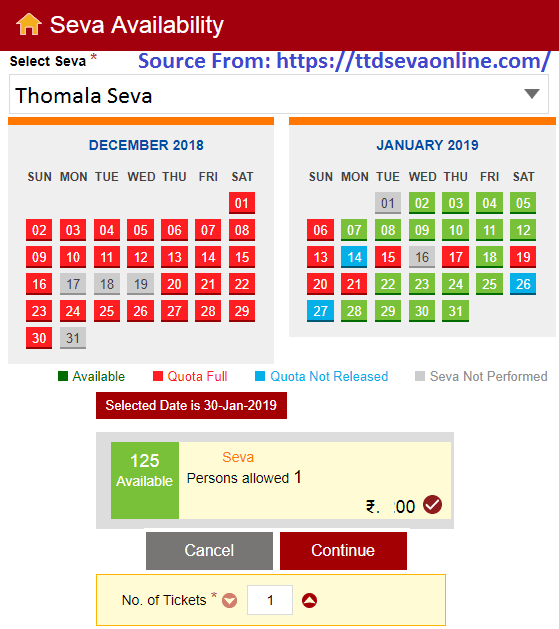 Procedure on How to book Tirumala Kalyanam Tickets Online Booking at https://ttdsevaonline.com/ and How to check TTD Kalyanotsavam Tickets Slot Availability Online…. Tirumala Tirupati is the one of the most famous religious places for Hindus. Tirumala is known is a temple of lord balaji and is of a lot of significance for Hindus. The temple is located in the Andhra Pradesh in the hills of Eastern Ghats. Apart from the religious significance, the temple is also famous for its architecture and sculpture. ID Proof which could be a driving license, Aadhar card, Passport, Pan Card etc. Mobile number that has not been used for booking before. 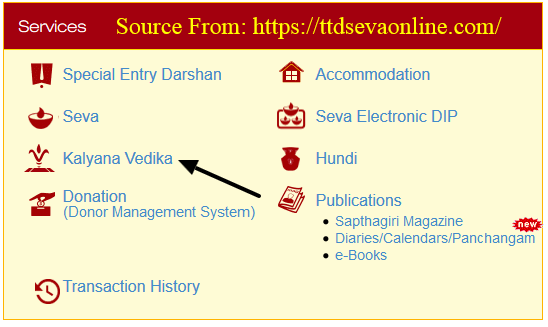 First the person needs to register on the Tirumala Tirupati Devasthanams website by using the following link – https://ttdsevaonline.com/ . One can check the details of the important dates when the puja time begins and can also check any other important dates related to Kalyanam puja. After this the person needs to register himself on the website by clicking on Sign up. While signing up on the page, the user needs to enter various details on the website: Account type (individual/institution), First Name, Last Name, Mobile Number, Date of Birth, Gender (from the drop down), Address, Select any photo ID and enter its number and Username which is the email id and password to check the status. After that the person will receive an OTP for validation on the registered mobile number and will receive an authentication link on the registered email id. After activating your email-id by clicking on the link sent on email address, your registration is complete. One can book the tickets through the online procedure and the user ID and password created above for Kalyanam between 9 AM -12 AM at least 3 days in advance. 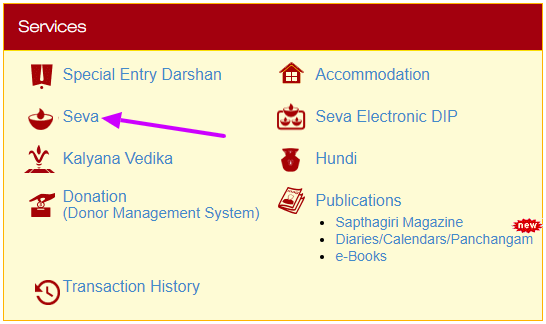 After logging on the website, one can check the available dates for the Kalyanam puja. 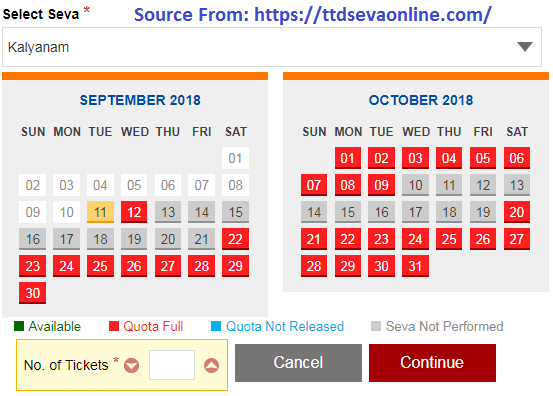 One can simply click on the Seva Slots Availability, a fresh page will open showing the available slots. 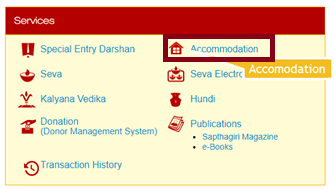 Select the type of puja for which you want to book the dates from the drop down. After selecting the date, one needs to select the Seva electronic dip. One can select the one or two people and click on continue after selecting the number of people. One also needs to put the basic details like age, gender, ID proof etc. 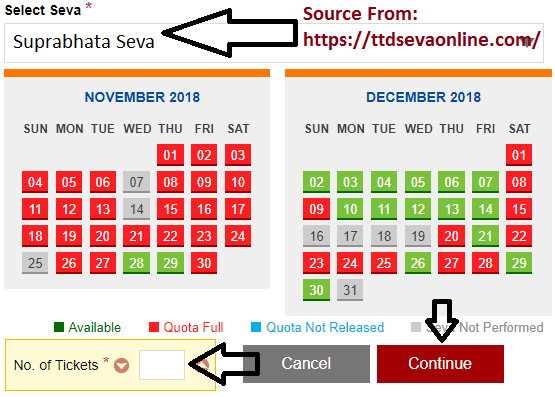 After that the next page will open where the person needs to select the puja for which the person wants to give the name, select the appropriate date and click on continue. After, the person needs to put the details, upload the recent passport photograph and check on “I have read the conditions” and the click on continue. Next the person would be provided a reference ID which should be saved for any future reference. Now, the last step is to make the payment, the user can do the payment using any of the available modes like internet banking, debit/credit card. The user can use any of the option as per their convenience. Once the payment is successfully done, the applicant would be provided with the Seva tickets which the user can take a print out and save the tickets for the travel day. User can also apply for the electronic dip for the Kalyanam puja selected, one can select the date and time of the puja after selecting and click on submit. After submitting the electronic dip successfully, the user will get a message at the last showing the successful submission of electronic dip. A mail will also be shared on the registered email for the confirmation. Once the process is complete, the user can see the days and time left for the draw to help track the status, The successful candidates whose name appear on the draw will also get a SMS and an email for successful results.